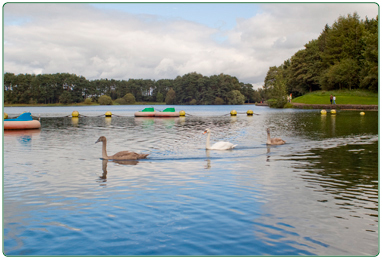 Lanark Loch is an ideal fun day out for all the family, there is a selection of activities to keep everyone entertained. Through the summer months you can enjoy the lochside grass areas to relax while the children play within the play park as well as making use of the other small rides and mini golf on offer. There is a small kiosk, with a decked seating area and play park, which serves refreshments and snacks. If you are feeling energetic you can take a walk round the Loch or for something a little more relaxing why not try your hand at fishing. Coarse fishing is permitted by permit only and the Loch is stocked with a quantity of Carp. 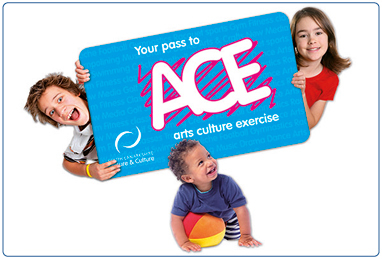 Day tickets and annual permits are available from South Lanarkshire Leisure and Culture Ltd - Lanark Lifestyles, or D & A Weir Newsagents in Lanark. Please note the kiosk operates on a seasonal basis and is mainly operated through the months of April to end of September.